For non-Singaporeans, learning Singlish can be really challenging. 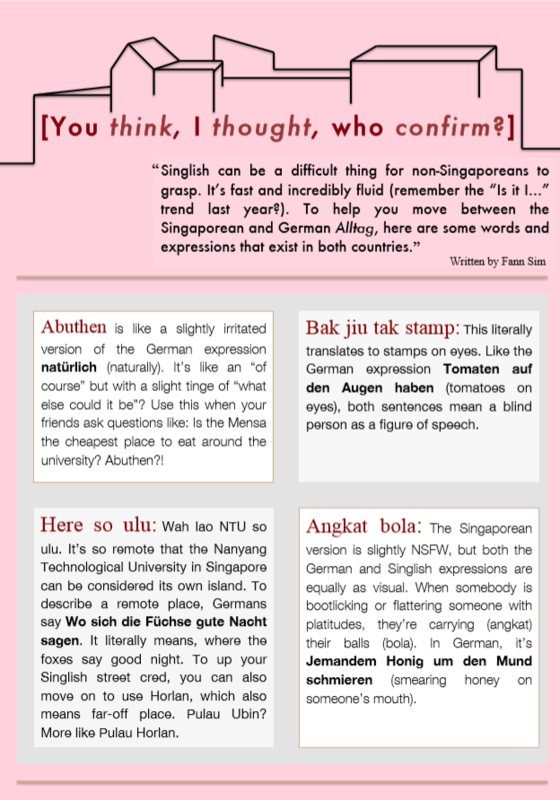 On the other hand, for Singaporeans already used to the sounds of Singlish, German could be perplexing. To bridge this transition, here are lingos that are similar if not identical in both languages. Share with us, if you know any other words and phrases that are similar in both languages!